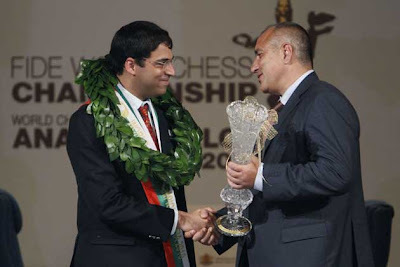 Garry Kasparov had claimed during the World Championship match in Moscow that Viswanathan Anand lacked motivation and the hunger for victory he had shown earlier. But that is not true — Anand was motivated and desperate to win the title. Not for himself. And, certainly not to silence critics, who had been taking potshots because of the slump in his ranking and drought of tournament wins in the lead-up to the World Championship. 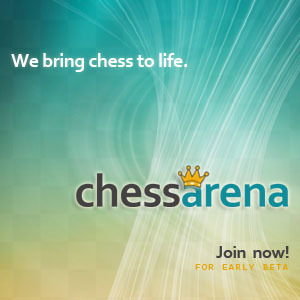 The 42-year-old Indian Grandmaster wanted to win the title for his 13-month-old son Akhil, who was with his grandparents in Chennai while Anand slugged it out with Boris Gelfand. “Anand wanted to win the title for Akhil, so that he could feel proud when we went back to Chennai. Though Akhil is too young to understand the significance of his father’s victory, Anand wanted to desperately win it for him,” Anand’s wife and manager, Aruna, told HT from Moscow. Akhil turned one on April 9. Aruna has stood shoulder-to-shoulder with Anand as the champion has gone about conquering the world. She has been besides him in his hour of glory or gloom, taking care of every need even as Anand concentrated on his game. So much so that, Aruna decided to stay away from her son for three weeks just to ensure that Anand was in the right frame of mind. “This match was very difficult for Anand as it was his first as a father. It was even tougher for me as I was in Moscow and Akhil was so far away. It was the first time he was not with me and I missed him. We kept motivating each other by looking at Akhil’s photos and videos and by speaking to people at home to know about him,” she added. Anand was on Thursday presented a special trophy for winning the title, besides a cheque of $1.4m ( Rs. 7.8 crore) and the traditional gold medal by world chess body, Fide. The trophy, a special gift from the Tretyakov Gallery in Moscow that hosted the tournament, is a cube made from optical glass with a golden chess crown in the centre.